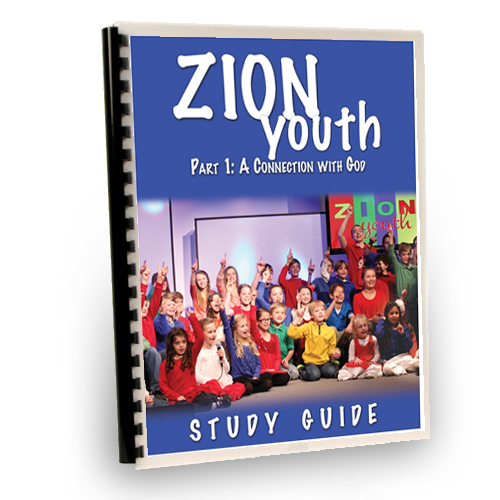 This workbook is already included with the Zion Youth DVD Study. Purchase an additional workbook for multiple children in the same household. Zion Youth Part 1: A Connection with God is a fun, exciting video lesson full of powerful and clear Biblical teaching that will inspire your elementary school-aged children to find God in everything. And it is full of Godly, fun music and dancing which is just as much fun for the parents as the children! Zion Youth was written and produced by Gwen Shamblin with Weigh Down Ministries and Remnant Fellowship Churches. Gwen has dedicated her life to uncovering ans passing down the secrets and power of a relationship with God to others - with a particular emphasis on the next generation. As the parents find how to put Godly principles into practice in the home, they are able to teach their children with the help of these resources. The Zion Youth video series will help transform the whole household, for it is full of God's music and knowledge of God and worship to Him. On it, elementary-aged children will learn basic and essential morals. This was created for children of all ages, up to teens, since children learn by imitating other children, and Zion Youth is full of children who are Godly! Notice as you turn off the TV and turn on Zion Youth how your whole family will be different - and more joyful!